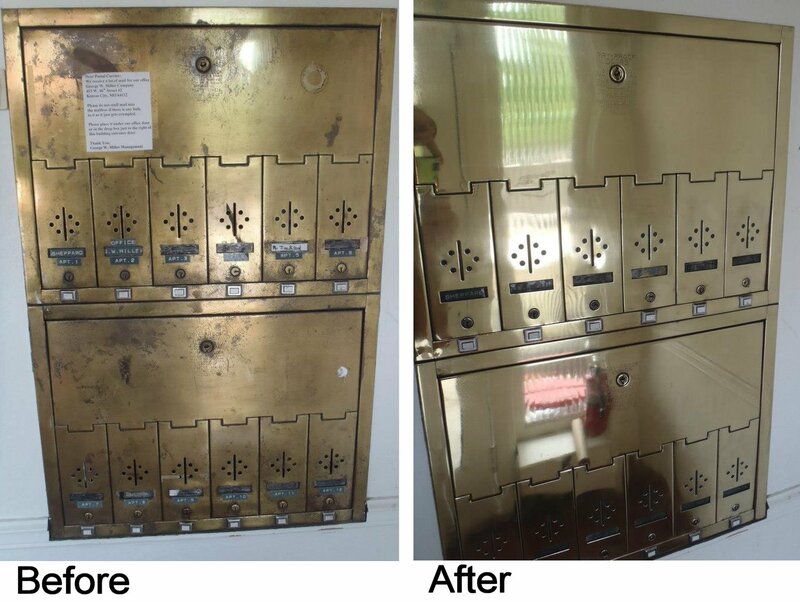 Check out these “before and after” images of KC Restoration’s work transforming tarnished brass mailboxes in an area condo building. 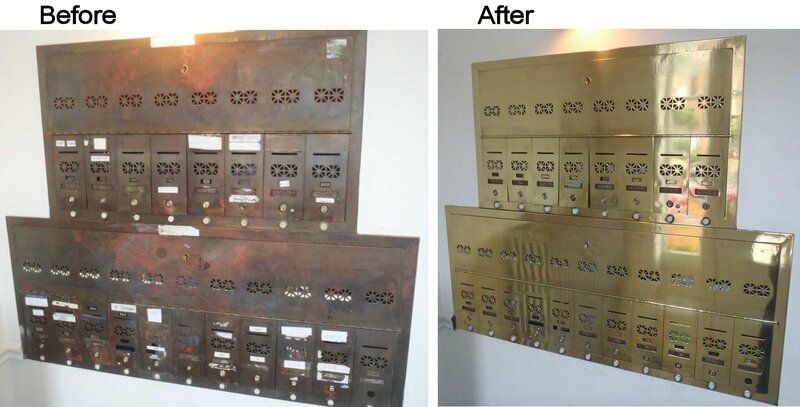 Now they look as good as they did back when they were new in the 1940s! 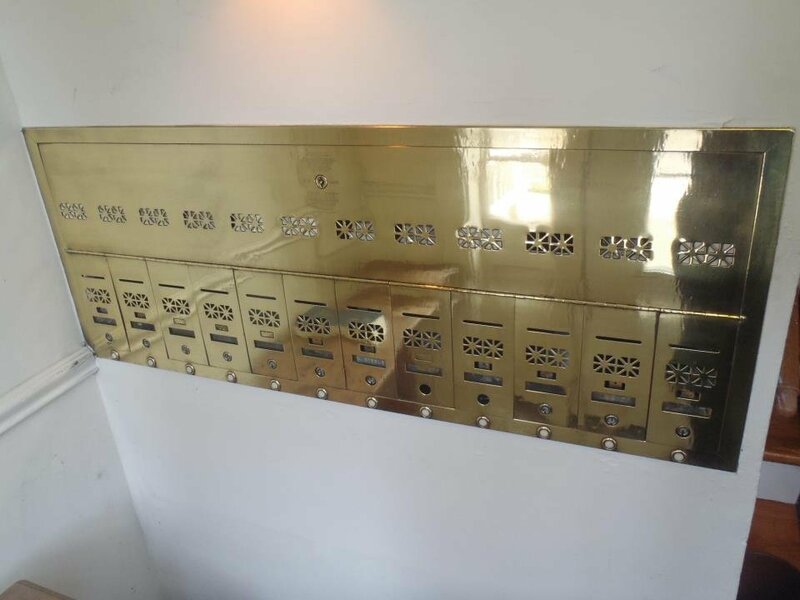 Even the residents asked if they’d been replaced!